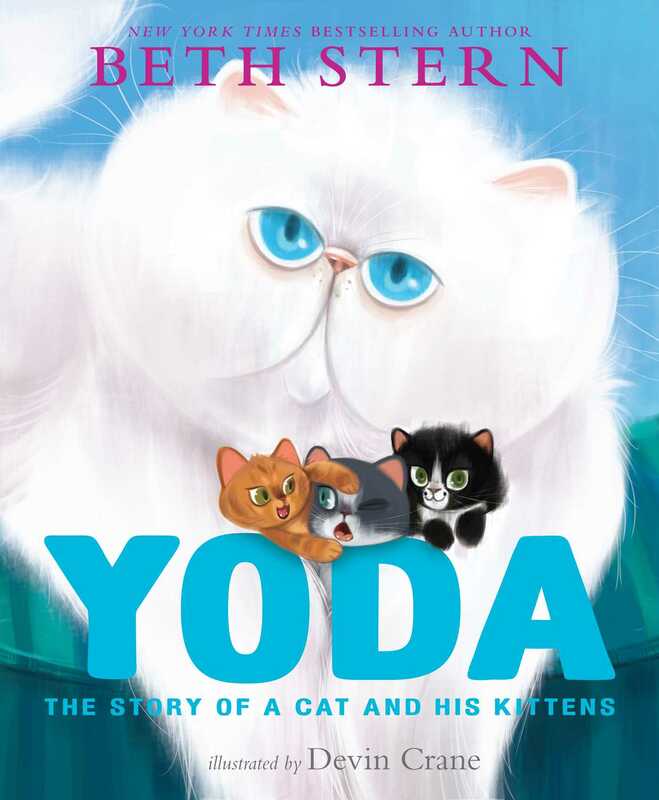 From the author of the New York Times bestselling Oh My Dog comes the true story of Yoda, a very special cat—and adorable Instagram sensation—rescued by Beth and Howard Stern. When Beth first met Yoda at the animal shelter, he was skinny and his fur was matted. He hid in the back of his cage and wanted nothing to do with anyone. But Beth chose Yoda. She took him home, cleaned him up, and gave him love. Beth fosters kittens, too, and before long Yoda discovered them—and his life purpose. Now he’s happy, and fluffy, and very, very busy. He makes sure the orphan kittens eat, he keeps them safe, and he even cleans up after them. Yoda acts like a father and mother to the foster kittens that fill his home, and taking care of others has helped him too: even though Yoda has a serious heart condition, he’s made a miraculous turnaround, and is healthier than doctors thought he could be. To further the important work that Beth does on behalf of animals, all of her proceeds from this book will be donated to North Shore Animal League America’s Bianca’s Furry Friends campaign. Devin Crane is a California-based artist with a successful career in animation and live action. He has been designing for top studios including Disney, Warner Brothers, Sony, DreamWorks Animation, and Paramount Pictures for the past nineteen years. His fine-art paintings have also been exhibited in the Principality of Monaco as well as at the prestigious art auction by Maitre Pierre Cornette de Saint Cyr in Paris, France. His original art has been collected worldwide.